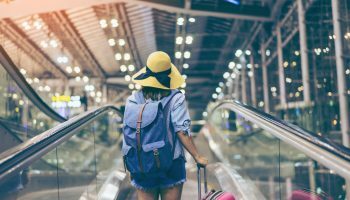 Sun-kissed beaches, outdoor pool parties and endless sunshine, the Caribbean is an obvious choice for a spring break getaway. But with its collection of luxury five-star resorts, how can you afford it? Lucky for you, this island-filled slice of paradise boasts an array of completely affordable resorts where you’ll get the most bang for your buck. 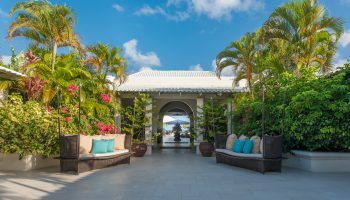 Going all in doesn’t have to mean going all out with these top budget-friendly resorts for spring break in the Caribbean. 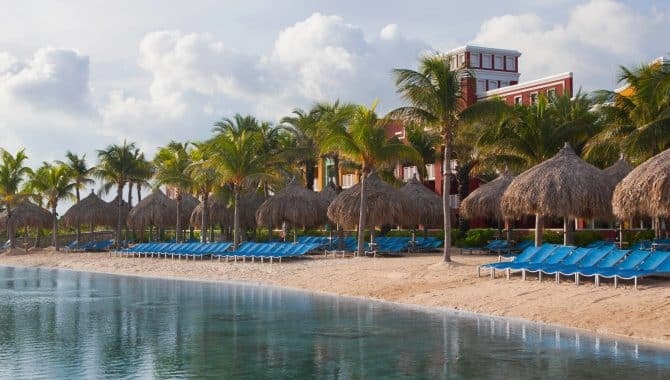 Hard Rock Hotel & Casino Punta Cana offers one of the most extensive all-inclusive packages in the Caribbean, making it a great deal for spring breakers who want to get the most out of their money. 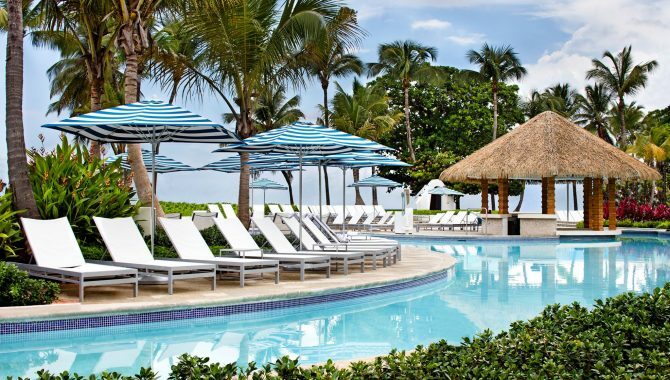 Just some of the on-site perks you can find here include 13 sparkling pools, nine restaurants and a luxurious day spa. At night, win big at the 45,000-square-foot casino and or dance the night away at ORO Nightclub, which features local DJs and themed nights, while Moon Lounge, Sun Bar and Eclipse Terrace are chic bars for chilling out. 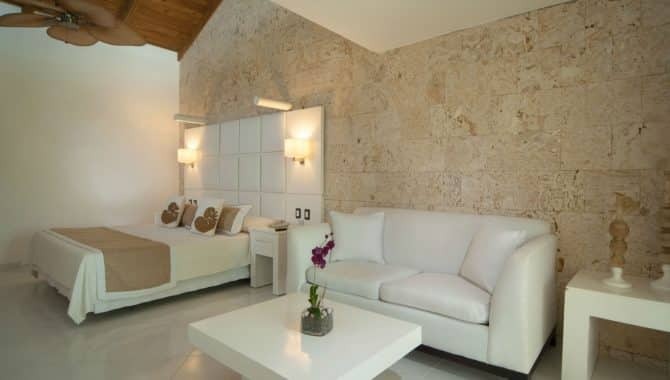 Lounge with a tropical cocktail at the adults-only pool, then continue the party in your lavish suite that includes rock ’n’ roll decor, a private balcony and 24-hour room service. Boasting an adults-only zone, Renaissance Aruba Resort & Casino is the private island location you’ve been dreaming about all semester. 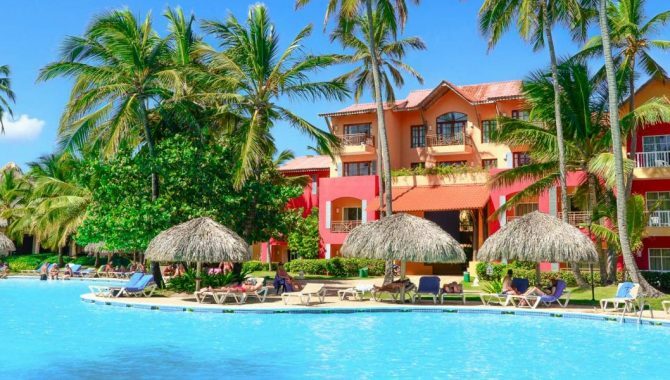 At this luxury budget-friendly resort, you can admire bright pink flamingos on 40 acres of private beach or ocean views from your Ocean King room with a private balcony. 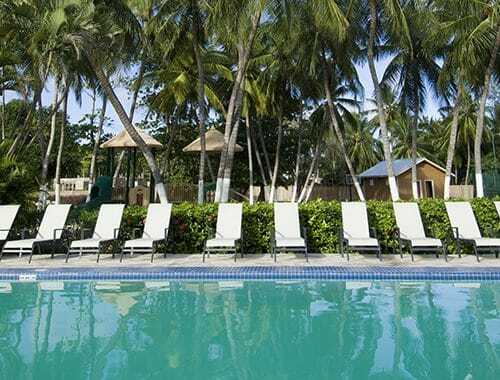 Test your luck at the 24-hour casino, join the lively atmosphere at the outdoor pool area or enjoy a cold beverage while admiring the crashing waves at Mangrove Beach Bar. When you need to refuel, sample local seafood specialties at Aquarius restaurant or head to Okeanos Spa for body scrubs, massages and facials before listening to live tunes at the chic BLUE bar. Don’t feel like getting out of the pool? Just swim up to Solé serving a variety of beers and cocktails. 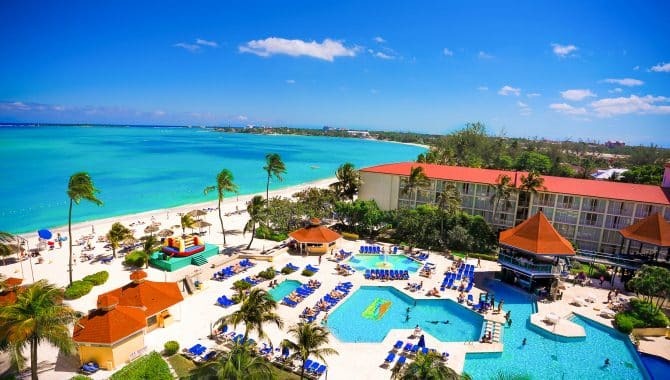 Breezes Resort & Spa Bahamas is an all-inclusive luxury resort that is a long-time favorite with spring breakers. 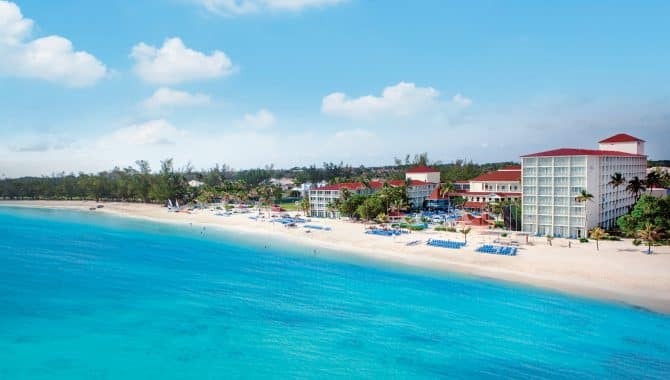 Commanding a location on Nassau’s most beautiful beach, this resort boasts beachfront rooms and an endless array of activities and entertainment. 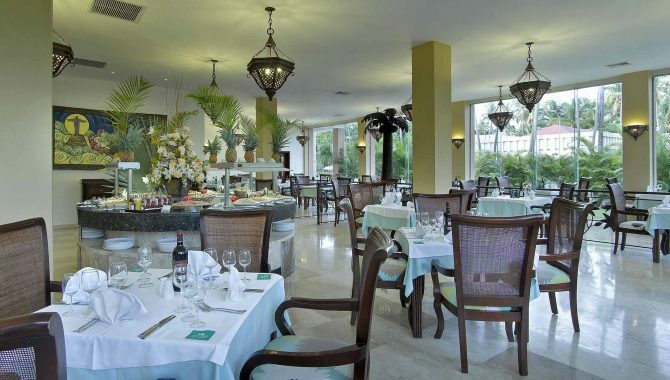 Choose from Italian cuisine at Martino’s or Asian-fusion dishes at Munasan, then take advantage of the four on-site bars with free-flowing drinks and cocktails, including a piano bar and swim-up bar. Work on your tan at the three freshwater pools, enjoy water sports on the beach or try your hand at Flying Trapeze. 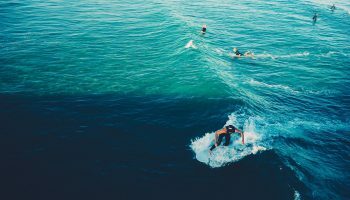 Wrap up your day with a seaside spa treatment before showing your best moves at the pulsating nightclub or enjoying late-night entertainment like karaoke, Cabaret and theme nights. 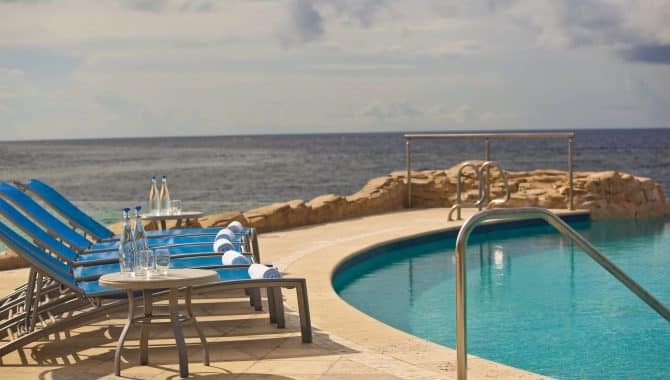 Located on a private white-sand beach, Renaissance Curaçao Resort and Casino lures spring breakers in with inviting perks like an outdoor infinity pool, spa cabanas and on-site casino. 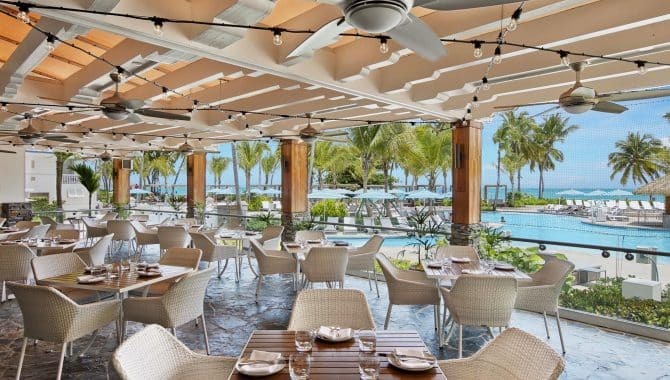 Enjoy light bites and tropical cocktails at Blue Lobby Bar or admire ocean views from Infinity Beach Bar, then treat yourself to a perfectly-prepared steak at the on-site Nautilus Restaurant. 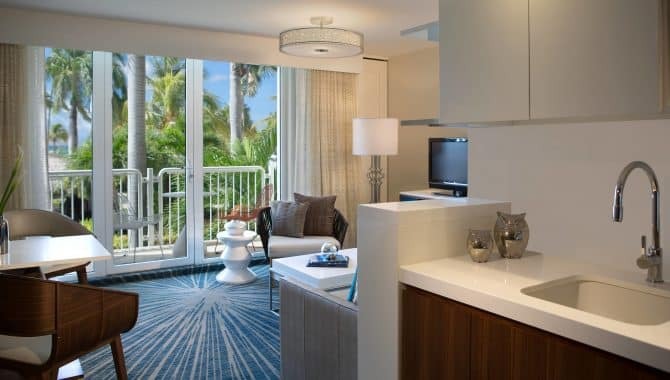 Budget-conscious travelers can stay in the Resort Room with a king-size bed, pillowtop mattress and mini fridge, or upgrade to the Ocean View with Balcony for floor-to-ceiling windows and ocean views. 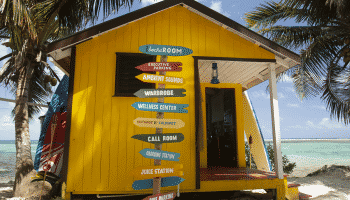 Want to venture outside of the resort? Mambo Beach Boulevard is a shopping, dining and entertainment strip just a 10-minute drive away. 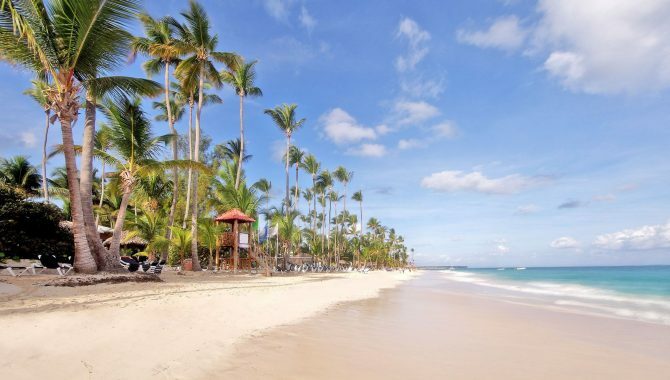 Grand Palladium Punta Cana Resort & Spa is an affordable choice for spring breakers, offering all-inclusive access to a pristine white-sand beach, four free-form pools, eight on-site restaurants and a whopping 25 bars. 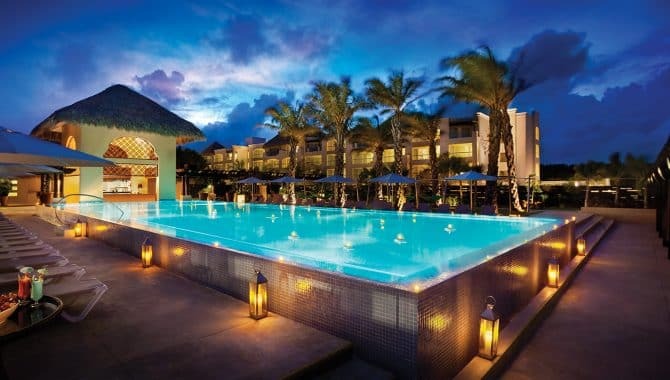 Sitting on the shores of Bavaro Beach, this five-star resort offers world-class services with daily themed activity programmes like live shows and music and games at the pool and on-site theater. 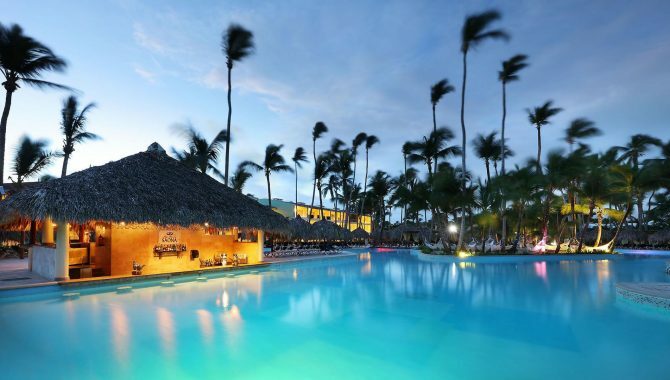 Enjoy the five buffet-style restaurants or six beach bars, then visit the late-night casino and Sunset Boulevard Discotheque for a memorable night out in Punta Cana. The indulgent spa features a Jacuzzi, steam baths and sauna, while Deluxe rooms include a hydromassage bath. For a furnished terrace, memory foam mattress and blackout curtains, stay in the Deluxe Ocean View. 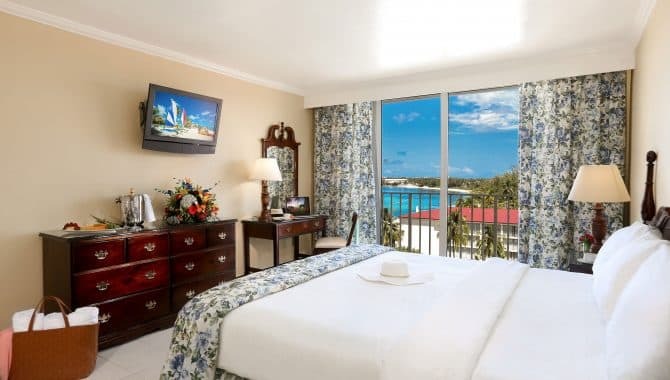 Your travel budget goes far at Divi Southwinds Beach Resort, where you can enjoy the best of Barbados while staying on St. Lawrence Gap, the country’s most popular dining and entertainment district. 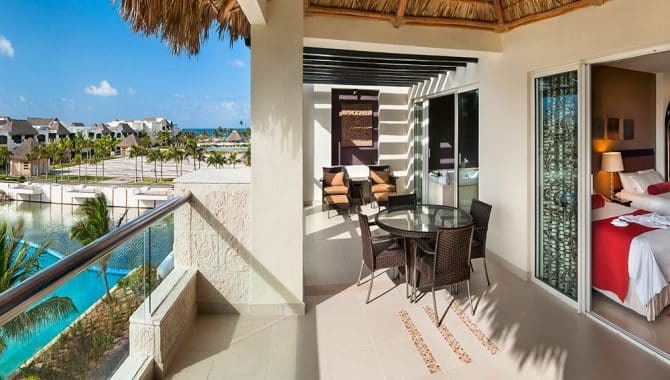 The One-Bedroom Beach Villa Suites are a favorite at the all-suite resort, as they come equipped with kitchens, a separate living area and private patios or balconies with ocean views. Enjoy the three freshwater pools with poolside cabanas, an oceanfront bar, pampering day spa, mini-mart and nine-hole miniature golf. 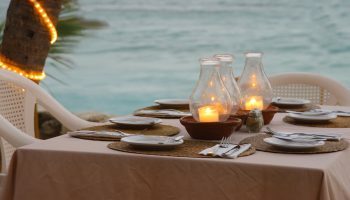 Head to the ocean for a day of windsurfing, snorkeling or sailboating, then sample Bajan Flying Fish at Pureocean restaurant. 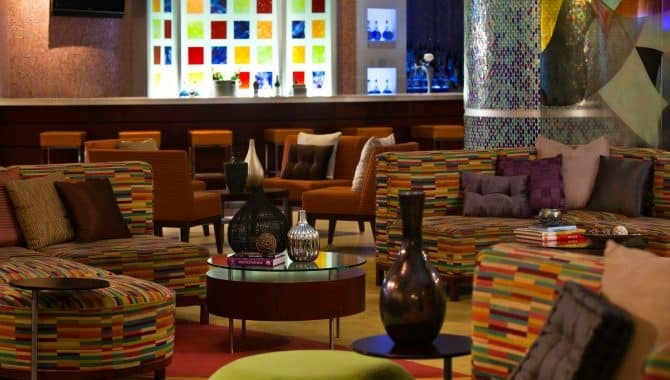 Just a short walk away is an array of nightlife options, from nightclubs and sports bars to live entertainment. 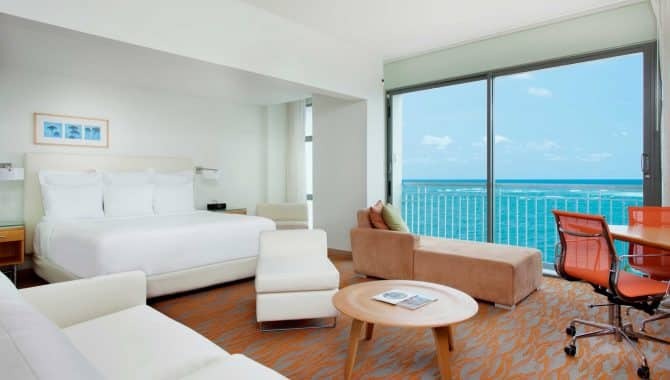 Located on a two-mile stretch of the award-winning Isla Verde Beach, El San Juan Hotel, Curio Collection by Hilton is just a five-minute drive from Luis Muñoz Marín International Airport. 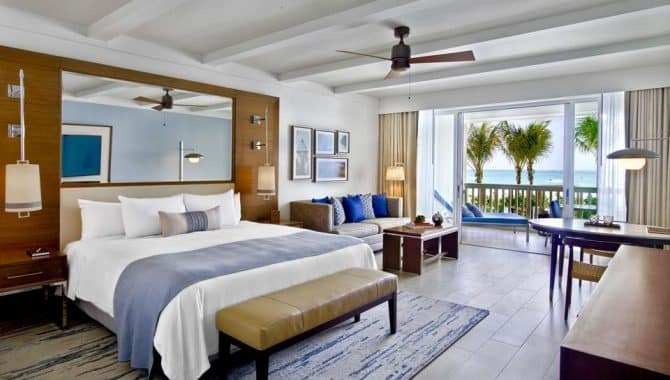 The newly-renovated rooms all feature floor-to-ceiling windows, a large HDTV and complimentary WiFi, while upgraded one and two-bedroom suites also include stunning ocean views. 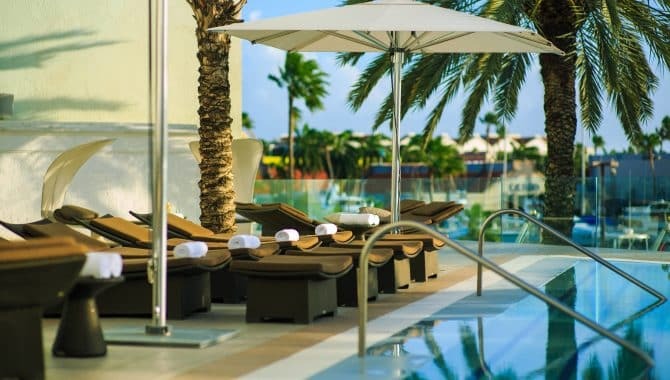 Lounge poolside in a private cabana or enjoy a day of water sports action, then pick up gourmet coffee at El Cafecito or visit Chandelier Bar for libations, light bites and live entertainment. Enjoy a massage at the open-air Beach Pavilion or in the comfort of your room, while two soothing sauna baths are also available. Nearby, you can sample rum at the Bacardi Distillery or admire colonial architecture and historic sites in Old San Juan. 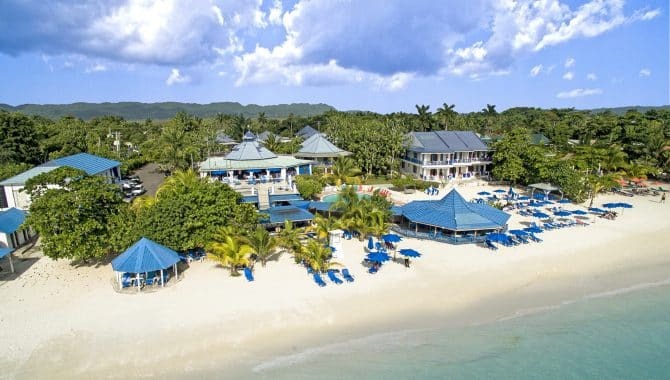 It’s tough to beat Negril Tree House Resort’s central location on the postcard-perfect Seven Mile Beach, one of the country’s most alluring settings loaded with activities, attractions and restaurants and bars. 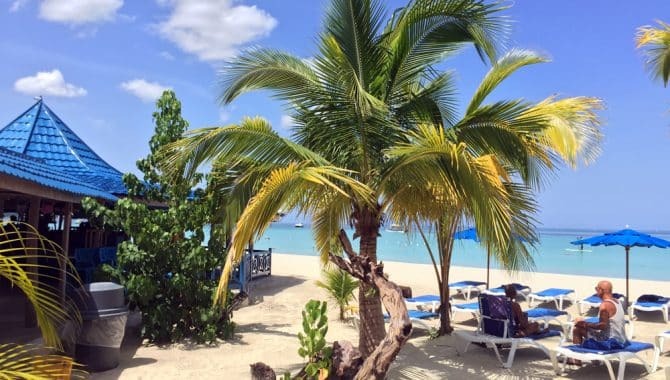 Sign up for parasailing, snorkeling or island tours or kick back by the pool, then visit the buzzing beach bar with live music or book a massage on the beach. 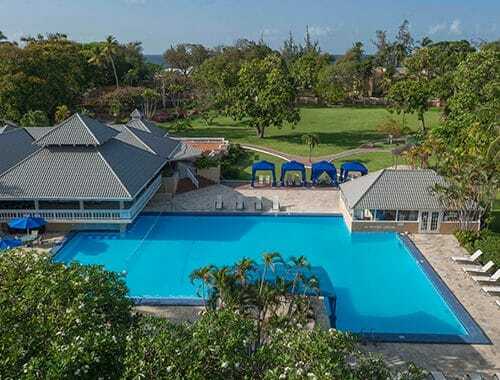 Take time to unwind in your Standard Garden View or Ocean View room that comes equipped with modern amenities, but don’t miss sampling the famous jerk chicken at the on-site restaurant, which also serves fruit cocktails and local Red Stripe beer. If you’re up for an adventure, sign up for a tour to nearby Y.S. Falls, Blue Lagoon or Rick’s Cafe. 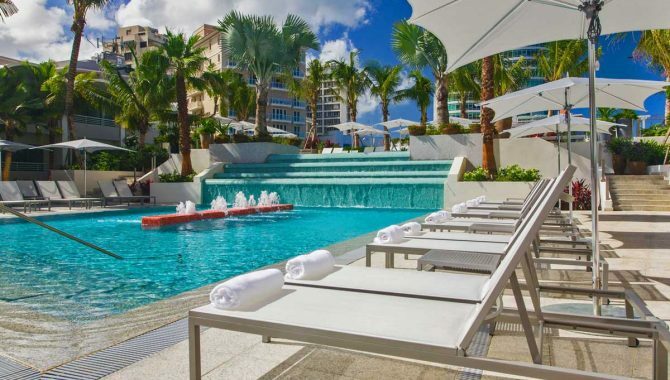 Spring breakers looking for the ultimate paradise can stay at La Concha Resort in Puerto Rico, as this beachfront hotel offers pure luxury just steps from Condado Beach. 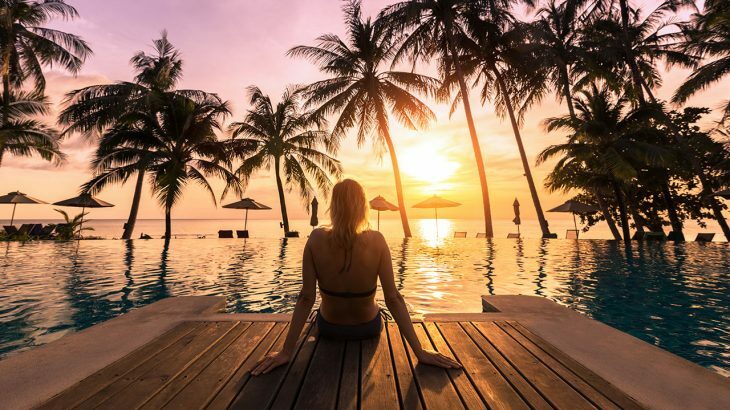 In addition to a spa offering pampering treatments for singles, there’s a multi-level infinity pool with waterfalls and a 24-hour on-site casino with high-tech slot machines and card tables. 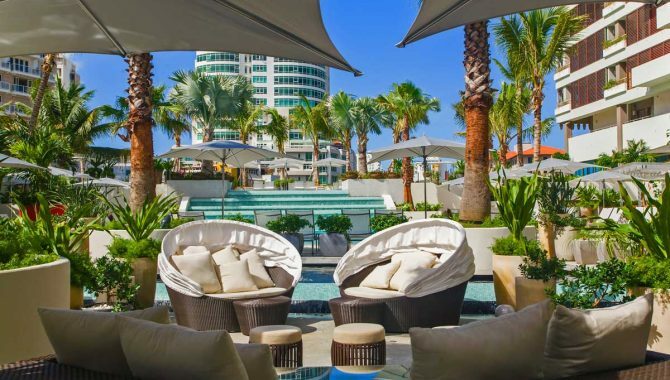 You’ll find live entertainment around every corner, from featured DJ’s to culinary demos and performance art, while on-site dining ranges from an upscale seafood and sushi restaurant to an oceanfront restaurant that pairs sangria and signature drinks with the Caribbean breeze. 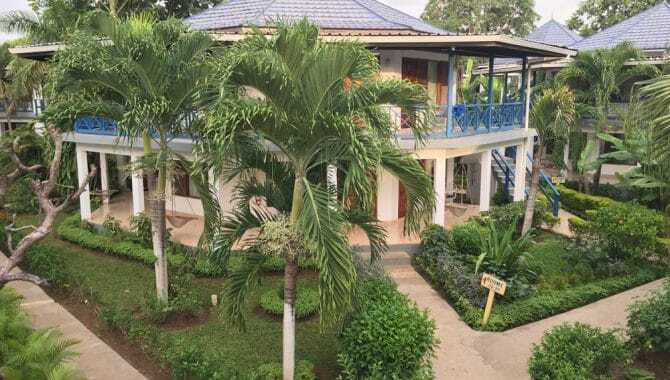 Save money by staying in the City King Guest Room with its pillow-top bed and flat-screen TV, while the Guest Room Resort View is steps away from the resort’s pulsating nightlife. 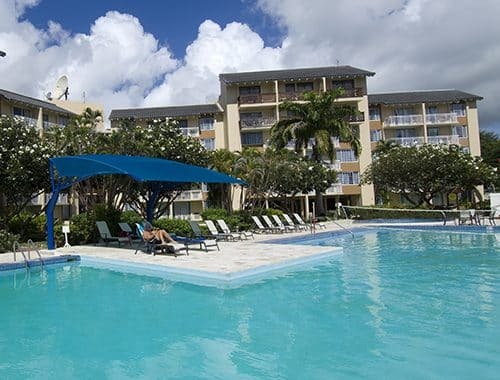 Located on Bávaro Beach, Caribe Club Princess Beach Resort & Spa is light on your wallet and heavy on the fun. 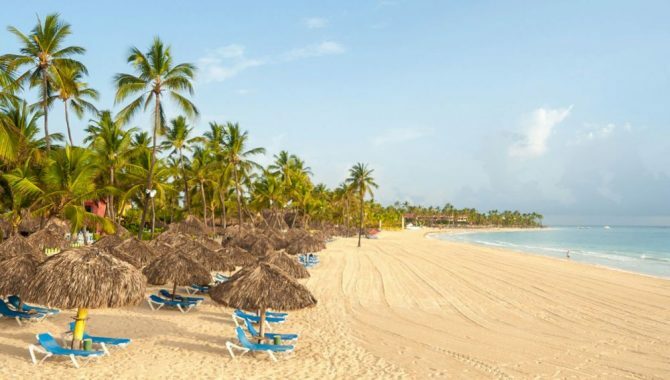 Spring breakers will find the wide range of leisure and entertainment activities appealing, including water sports on the beach, a Grand Casino (located at Bavaro Princess) and all-inclusive perks in its seven on-site restaurants and four bars. 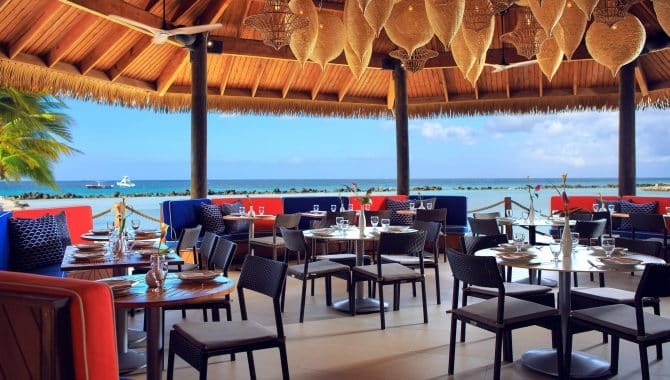 Dig into Mexican dishes at Sombrero, Italian favorites at Mamma Mia Italian Restaurant or succulent seafood at El Pescador, then enjoy poolside drinks at Sunken Bar Piscina or the lively beachfront La Matica bar. 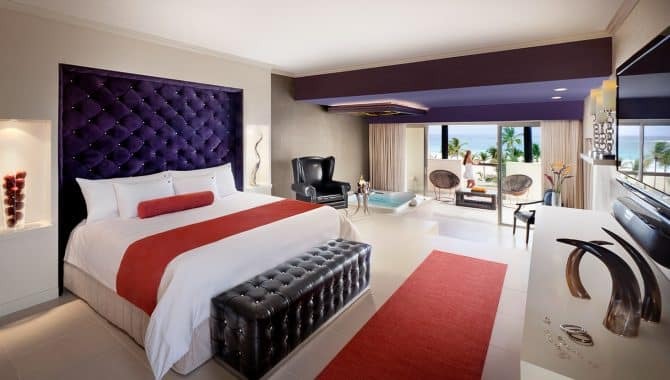 Dance the night away at “Areito” Discotheque and rest easy in a king-size bed in the Superior Room, which also includes a mini bar and balcony.